Spinal hematoma has been described in autopsies since 1682 and as a clinical diagnosis since 1867. It is a rare and usually severe neurological disorder that, without adequate treatment, often leads to death or permanent neurological deficit. 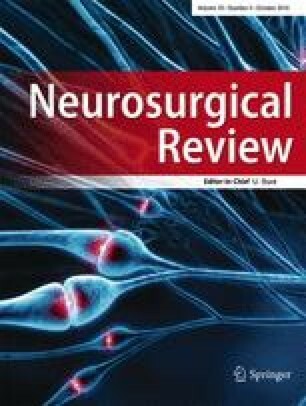 Epidural as well as subdural and subarachnoid hematomas have been investigated. Some cases of subarachnoid spinal hematoma may present with symptoms similar to those of cerebral hemorrhage. The literature offers no reliable estimates of the incidence of spinal hematoma, perhaps due to the rarity of this disorder. In the present work, 613 case studies published between 1826 and 1996 have been evaluated, which represents the largest review on this topic to date. Most cases of spinal hematoma have a multifactorial etiology whose individual components are not all understood in detail. In up to a third of cases (29.7%) of spinal hematoma, no etiological factor can be identified as the cause of the bleeding. Following idiopathic spinal hematoma, cases related to anticoagulant therapy and vascular malformations represent the second and third most common categories. Spinal and epidural anesthetic procedures in combination with anticoagulant therapy represent the fifth most common etiological group and spinal and epidural anesthetic procedures alone represent the tenth most common cause of spinal hematoma. Anticoagulant therapy alone probably does not trigger spinal hemorrhage. It is likely that there must additionally be a "locus minoris resistentiae" together with increased pressure in the interior vertebral venous plexus in order to cause spinal hemorrhage. The latter two factors are thought to be sufficient to cause spontaneous spinal hematoma. Physicians should require strict indications for the use of spinal anesthetic procedures in patients receiving anticoagulant therapy, even if the incidence of spinal hematoma following this combination is low. If spinal anesthetic procedures are performed before, during, or after anticoagulant treatment, close monitoring of the neurological status of the patient is warranted. Time limits regarding the use of anticoagulant therapy before or after spinal anesthetic procedures have been proposed and are thought to be safe for patients. Investigation of the coagulation status alone does not necessarily provide an accurate estimate of the risk of hemorrhage. The most important measure for recognizing patients at high risk is a thorough clinical history. Most spinal hematomas are localized dorsally to the spinal cord at the level of the cervicothoracic and thoracolumbar regions. Subarachnoid hematomas can extend along the entire length of the subarachnoid space. Epidural and subdural spinal hematoma present with intense, knife-like pain at the location of the hemorrhage ("coup de poignard") that may be followed in some cases by a pain-free interval of minutes to days, after which there is progressive paralysis below the affected spinal level. Subarachnoid hematoma can be associated with meningitis symptoms, disturbances of consciousness, and epileptic seizures and is often misdiagnosed as cerebral hemorrhage based on these symptoms. Most patients are between 55 and 70 years old. Of all patients with spinal hemorrhage, 63.9% are men. The examination of first choice is magnetic resonance imaging. The treatment of choice is surgical decompression. Of the patients investigated in the present work, 39.6% experienced complete recovery. The less severe the preoperative symptoms are and the more quickly surgical decompression can be performed, the better are the chances for complete recovery. It is therefore essential to recognize the relatively typical clinical presentation of spinal hematoma in a timely manner to allow correct diagnostic and therapeutic measures to be taken to maximize the patient's chance of complete recovery. Electronic Supplementary Material is available if you access this article at http://dx.doi.org/10.1007/s10143-002-0224-y. On that page (frame on the left side), a link takes you directly to the supplementary material. The online version of this article (doi: 10.1007/s10143-002-0224-y contains supplementary material, which is available to authorized users.